Are you currently expecting? What are you doing to stay in shape? When I was pregnant, I made it a point to fit in easy and short workouts between my much needed naps and caring for my tot. 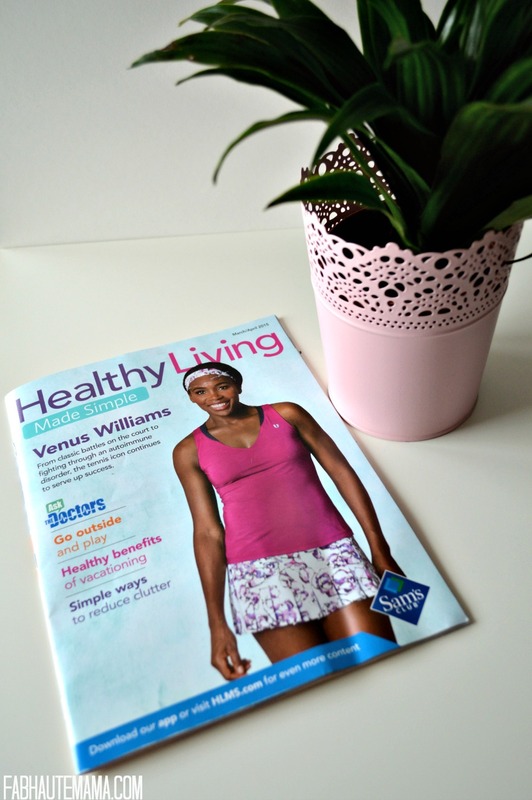 Today I am sharing 5 Easy Pregnancy Exercises. Remember to consult your physician before starting any exercise routine and listen to your body. If it doesn’t feel right don’t do it. Also do your research. Depending on the routine, there are some moves you should definitely modify or avoid all together during different stages of pregnancy. These 5 options are pretty safe no matter how far along you are. I am a runner but during pregnancy I do not run. My doctor preferred for me to walk and so do I. Truth is during pregnancy, I was extra clumsy. No one told me about this side effect. Has this happened to you? So walking is definitely safer and was my go to choice of the pregnancy exercises. I did 1-3 miles at least 5 times per week. To start out, you can do 20 minutes 3x per week and build up from there. P.S. 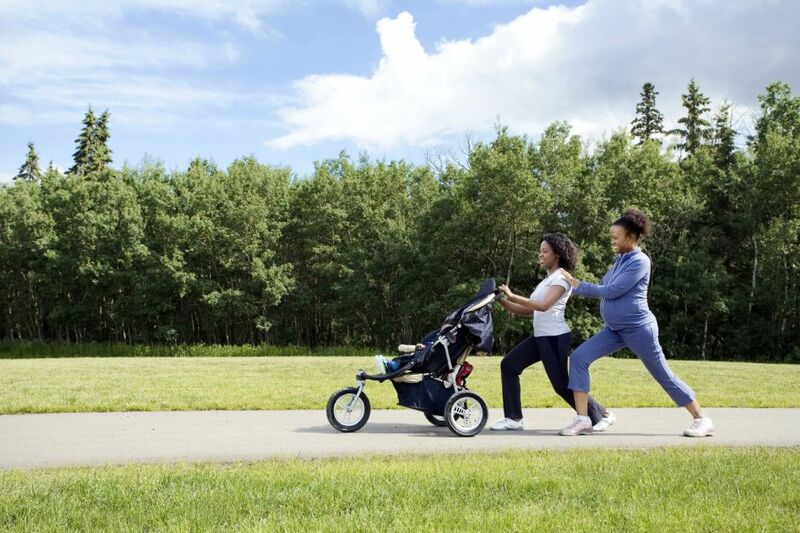 Walking while baby wearing or pushing the stroller is amazing for post pregnancy recovery. Not to mention a great help in balancing the crazy hormones. Amazing! Relaxing, strengthening and easy on the body. You can do 3-5 simple moves and build from there. Childs Pose is one of my favorites although it surely doesn’t look or feel the same in your second and third trimester. 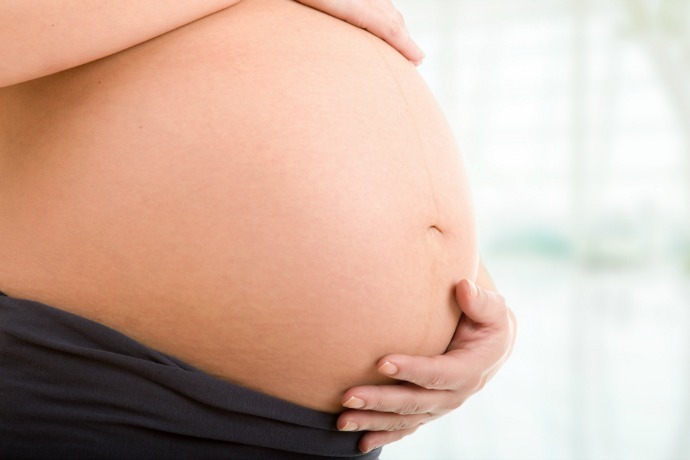 Prenatal yoga classes are very popular. If you can’t make a class, tune into YouTube. One of my favorite Prenatal Yoga workouts is by Katy Appleton on the Tonic channel. Stretching is a part of a yoga routine but it is also just as good on it’s own. It helps with aches and pains and keeping the muscles lose especially if you are working out or going out for a long day. Stretching has also helped me tame the beast that is muscle contractions in my legs. I do basic stretches and once again YouTube is your friend. Checkout this stretching routine out for pregnancy. 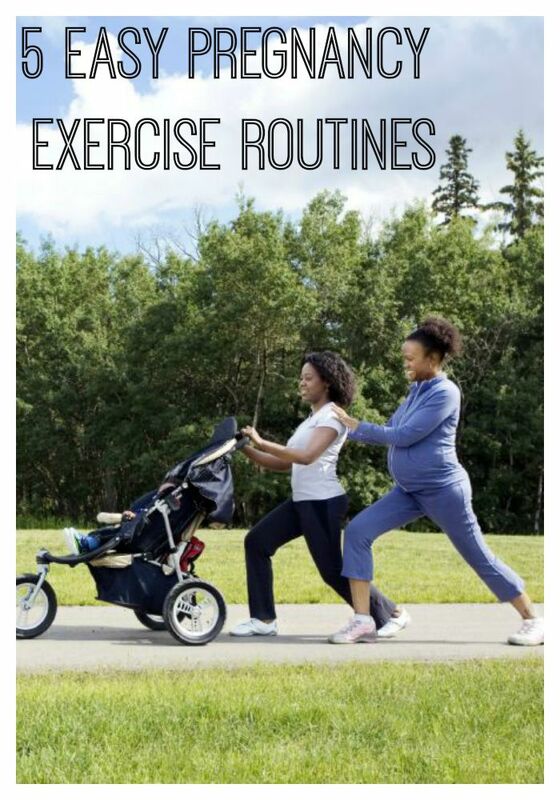 A great full body workout that is also easy on the expecting mom body. Try easy laps around the pool. I am a little crazy so head above water is my preference but by all means get your swim on. Water aerobics works great. I am pretty sure there are prenatal swim classes as well. Check out what’s available in your area. Yes mamas, doing light weights will workout well for you. Light weight help to keep your muscle strong. Pregnancy does a number on them. My 2 year-old is my best weights workout. She has become super attached and sometimes I have to lift her. I can’t tell you how many compliments I have received on my shapely arms during my pregnancy. Now the lower half… it hasn’t completely gone out the window but it is my focus post pregnancy. What are your favorite pregnancy exercises?